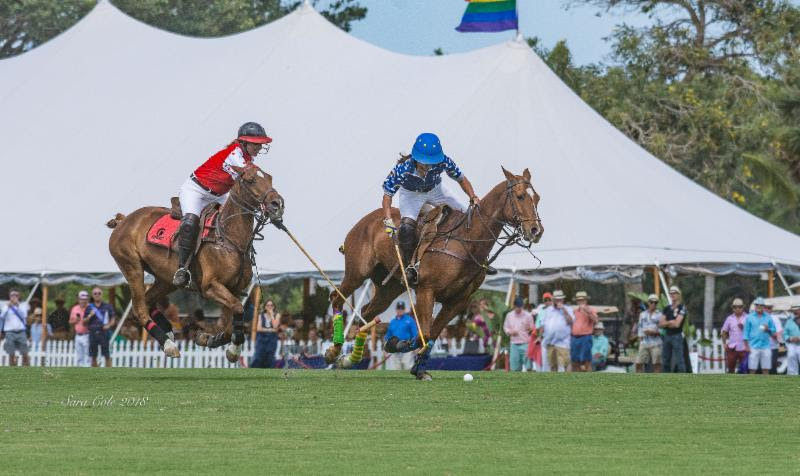 Wellington, Fla. – April 13, 2018 – The 9th Annual Land Rover Palm Beach International Gay Polo Tournament, held at the International Polo Club Palm Beach in Wellington, Florida, attracted larger than life crowds for the over-the-top tailgate competition and finals of the Founders Cup and the Senator Cup polo matches. Professional polo players Sugar Erskine, Nacho Badiola, Matt Coppola, Joey Casey and Tiffany Busch generously donated their time to quarterback the four Gay Polo League (GPL) teams vying for the coveted trophies. After preliminary games leading up to Saturday’s festivities, team Goshen Hill (Jed Pearsall, Daniel Bain, Teddy Rekai-Nuttall, Sugar Erskine) defeated team RSM (Bruce Schreiber, Mark Bennett, Phil Tremo, Nacho Badiola) to claim the Founders Cup. Professionals Sugar Erskine and Nacho Badiola led their teams expertly and offered GPL crowds an exciting first game. 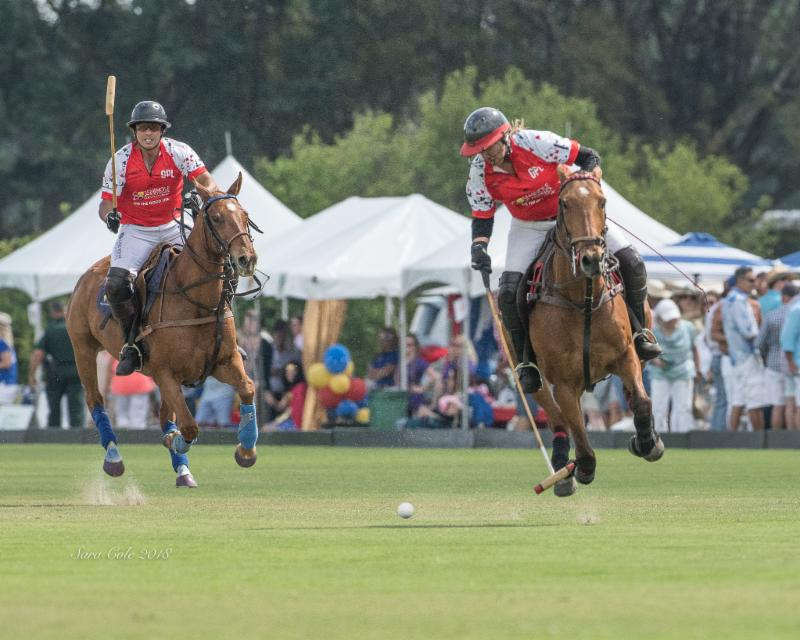 After the first chukker, team RSM held on to the lead by one goal after Mark Bennett scored a great shot, which was followed by an exciting breakaway goal by teammate Phil Tremo. However, team Goshen Hill quickly caught up with Daniel Bain after executing two flawless goals to end the first half of play in the lead. Despite a solid comeback attempt from team RSM in the second half of play, Goshen Hill managed to hold on to the lead in order to take home the Founders Cup with a final score of 4-3. 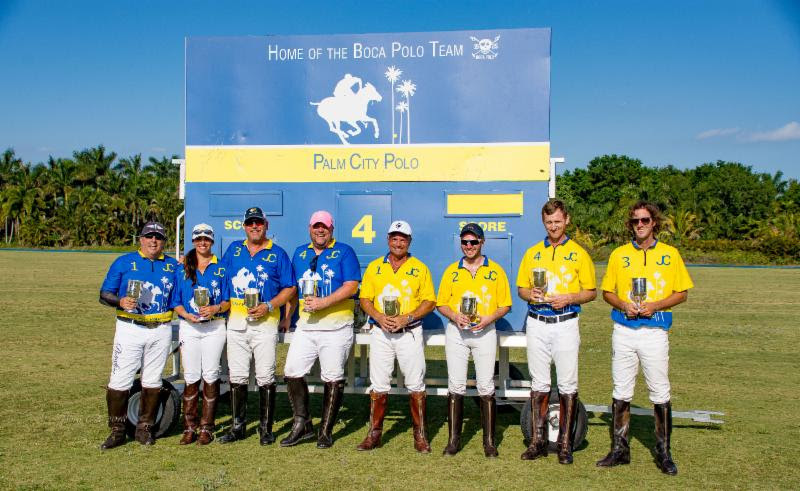 Later in the day, the feature match of the tournament took place with Seminole Casino Coconut Creek (Stacie Simpkins, Gus Larrosa, Chip McKenney, Matt Coppola) challenging Cedar Crest Stables (Michael Sahakian, Ken Mayer, Tiffany Busch, Joey Casey) to see who would capture the prized trophy, The Senator Cup. 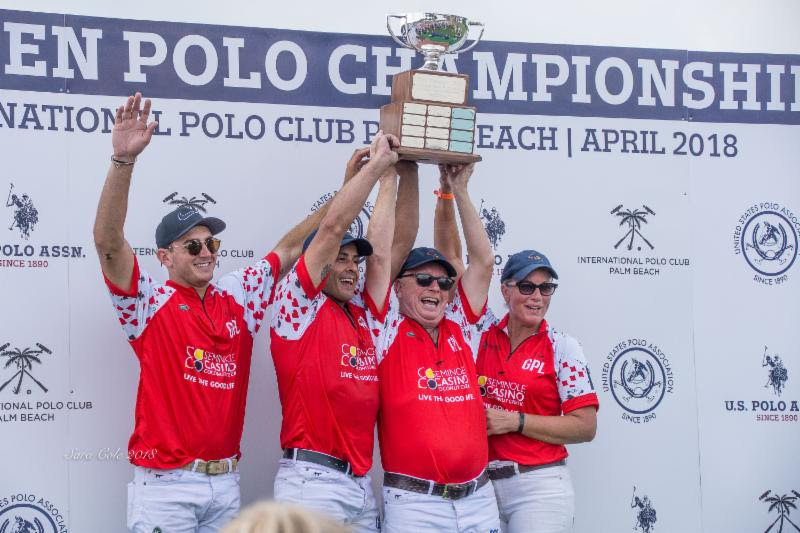 The match offered crowds of tailgaters and viewers an intense game that showcased the abilities of the pros Matt Coppola, Joey Casey and Tiffany Busch, as well as the rest of the Gay Polo League members. 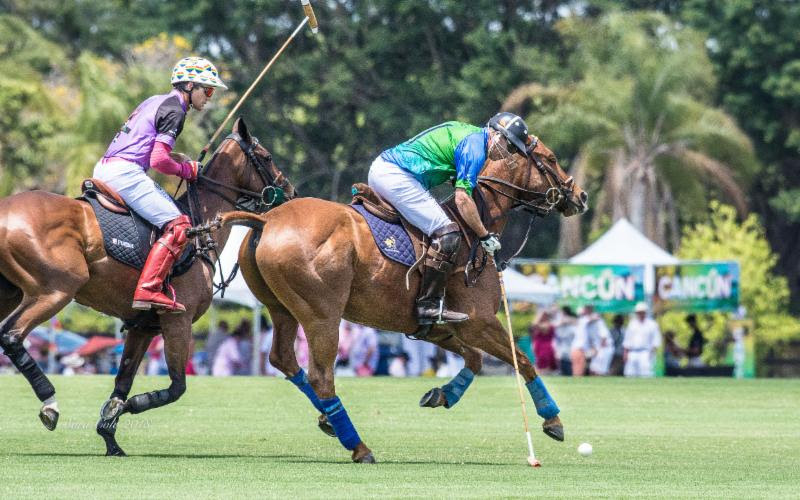 During the first chukker, Ken Mayer came out strong for his team by quickly putting in a goal that would keep his team in the lead at the conclusion of the chukker. Soon enough though, Coppola took their lead away in the early minutes of the second chukker with a swift goal. Throughout the remainder of the first half of play, each team continued to match each other with teams at a 1-1 tie at the end of the first half. 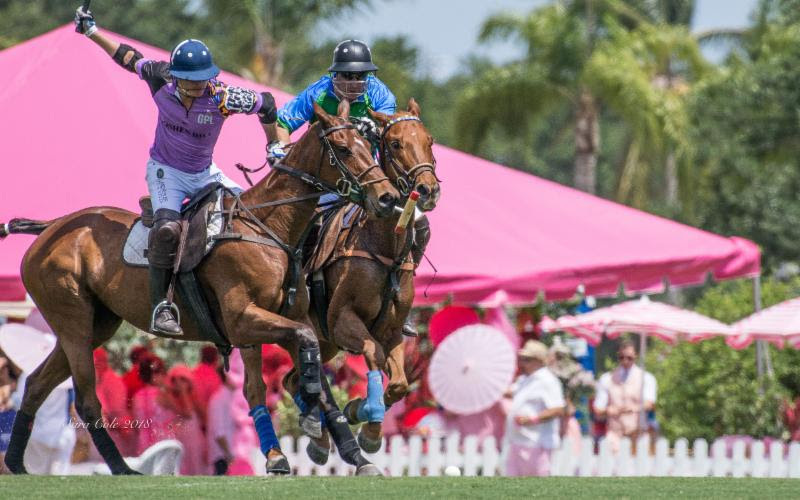 Following the festive champagne divot stomp sponsored by Benjamin Deaton Designs, the third chukker began with team Seminole Casino Coconut Creek gaining the lead with goals from GPL founder, Chip McKenney, and Stacie Simpkins. Teams continued to match each other in scoring into the fourth and final chukker, to end in a 3-3 tie. Umpires decided that the game would go into an overtime that operated under sudden death rules – the first team to score would take home the win and the prestigious Senator Cup. Both teams came out determined to be the first to score, but it was Matt Coppola that demonstrated his skills as a professional and quickly served victory to his team by scoring the winning goal. Coppola himself was also a sponsor. His family’s Wellington tack shop, The Tackeria, supplied the Best Playing Pony accolades that were awarded to McKenney’s brand new pony, Pitucca. GPL prides itself on introducing thousands of people to polo throughout its nine-year history. 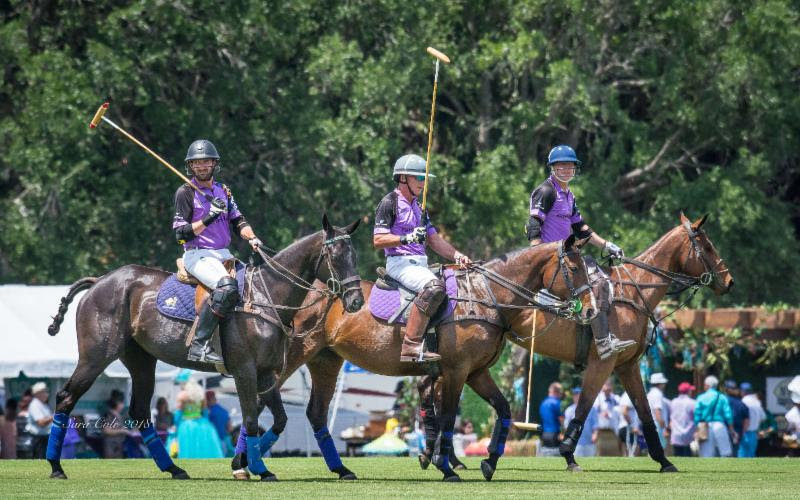 In 2018, the 1st Annual Futures Cup Tournament was created and held at Palm City Polo Club, the home club of the GPL, this year on Wednesday, April 4 as an inaugural event to celebrate up-and-coming riders. Joe Pietrafesa, Pete Grover, Katie Johnson and Joey Casey played against John Maroussas, Peter Secor, Jeff Blake and Nacho Badiola. John Maroussas was named Most Valuable Player while Pete Grover’s Rocky was honored as Best Playing Pony. 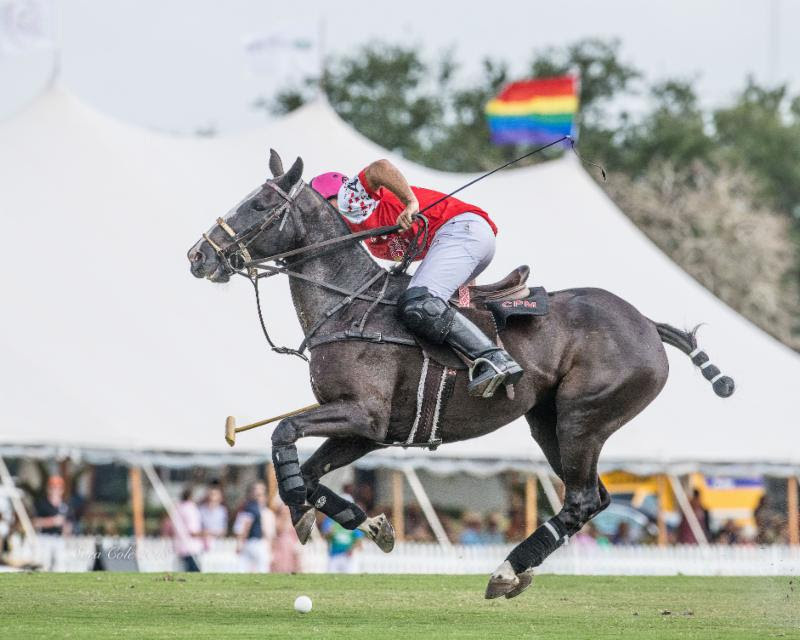 Gay Polo League would like to thank all sponsors, players, attendees, media and staff for creating such an iconic event this year at the 9th Annual Land Rover Palm Beach International Gay Polo Tournament. Next year the fun will return bigger and better than ever! For more information, please visit gaypolo.com.